Can sugary drinks affect more than just your weight? 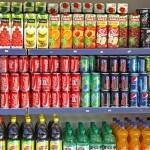 A recent study shows regular consumption of sugary drinks is associated with an increase in risk of type 2 diabetes. These results are independent of whether the person is obese or not. The study involved looked at 17 other studies, representative of nearly 230 million adults in the US and UK . It found an 18% increase in the incidence of type 2 diabetes for every extra serving a day of sugar-sweetened beverages such as soft drinks, or fruit juices with added sugar. For the full study visit the BMJ here. © Copyright of Dr Leon Massage. All Rights Reserved. Designed By RWeb Designs And Technologies.